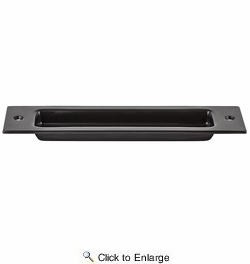 National N187-022 Interior 8" Flush Pull - Oil Rubbed Bronze (V1012). 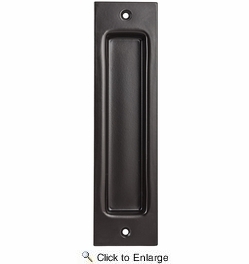 Provides a functional way to manuever a sliding door entry while complementing sliding door hardware design. Recommended for use on wood interior doors. Detailed installation template for quick and easy installation. Includes fasteners.